This article contains a list of recommended espers to use all throughout the game. A guide for recommended espers to focus on in Final Fantasy XII: The Zodiac Age [FFXII: TZA]. In the world of Ivalice, one summons an Esper as a means to aid them in battle. Unlike summons from previous installments, Espers use up both MP and the Mist Gauge bar. This can affect your strategies and playthroughs, most especially when fighting bigger bosses. When summoning them in combat, Espers only last for at least 90 seconds. Each Esper places value on different things. This is why some players focus on a certain set of Espers. While there is no limit as to how many Espers a character can hold, some people prefer distributing them around. Others put them all on their strongest character. Assigning the Esper to a frequently used character also increases Esper’s level. If you’re looking for our Espers Guide, click here. If you’re looking for our Espers Boss Guide, click here. While he is ultimately the hardest to get, Zodiark‘s high stats make him worth the trouble. His Dark attacks make him similar to Final Fantasy X’s Anima. Zodiark is an Esper capable of breaking the 9999 damage barrier which makes it very useful when fighting bosses. He also has heightened attack speed with regard to magic which already deals heavy damage. However, the main problem with this Esper is the MP cost, the Mist Gauge cost, and when its available. In a game of attrition, using Zodiark early on may be a bad move. 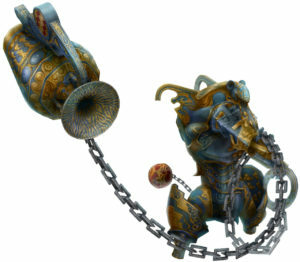 But Zodiark‘s consistent damage output may be enough to reduce the battle of attrition to a short but intense battle. His attacks, such as Final Eclipse, can deal damage beyond the 9999 limit. This may put him in the same tier as Final Fantasy’s Bahamut, Anima, Madeen, and Ark. His ability to cast Renew and Hastega add to his potency. This further empowers his no charge magicks. 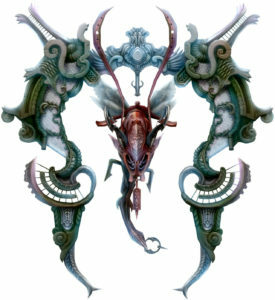 For information on beating Zodiark as a boss, click here. Famfrit is a great esper when you’re not fighting a boss. Because of its attributes and resistances, Famfrit can withstand a lot of damage before finally disappearing. While some Espers are beneficial due to their final attacks, Famfrit is an Esper that can last in a long fight. What allows Famfrit to last a long time is his Auto-Shell, Auto-Protect buff. This reduces incoming damage along with Famfrit‘s ability to ignore reflects,. If one doesn’t earn Zodiark in the first playthrough, Famfrit can act as a substitute. However, similar to Zodiark, summoning Famfrit requires a lot of MP and three Mist Gauges. This requires you to use him carefully or give Famfrit to a summoner who has Ether Lore 3 or a high base MP. For information on defeating Famfrit, click here. Shemhazai, the Whisperer is one of the few recommended Level 2 Tier espers. What makes Shemhazai powerful is her ability to cast Soul Purge. This can potentially deal more than 20,000 damage. While Shemhazai may not deal as much damage as Zodiark or Famfrit in the first few rounds, Shemhazai wins the battle in the end using her final attack. Her damage can be extended by collecting Knots of Rust. The more Knots of Rust one has, the more damage her Devour Soul will deal. While her damage cap is 9999, Soul Purge has damage a cap of a reported 60,000 similar to Zeromus‘ Big Bang.